I am done. Or at least, the wash cloths are. They’re a week late but still in time to send to Viel next week through a friend who is going home for a vacation. I made seven in all, one for each day of the week. I opted not to do the duplicate stitching this time as I find them too much work, maybe next batch. 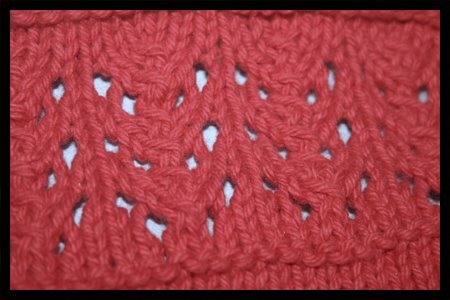 Detail of the Lace Chevrons Cloth – I adore this stitch pattern which is so easy to follow. Detail of the Bramble Cloth. 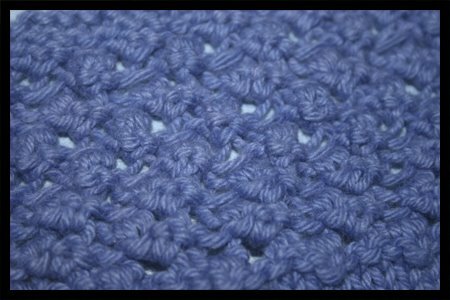 I enjoyed doing the k1, p1, k1 into same stitch. 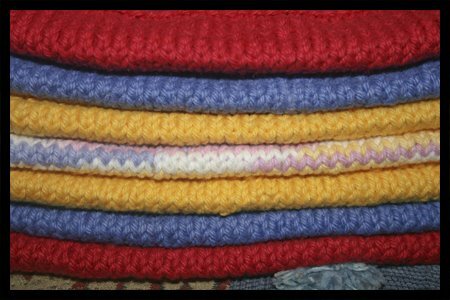 I am glad to say that there are no dropped stitches, no skipped stitches in this project pile. 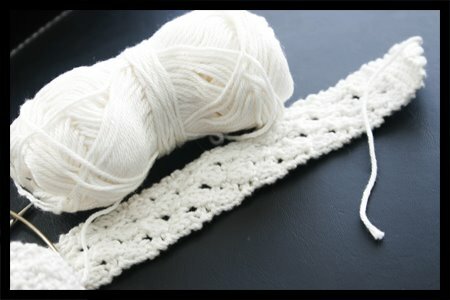 I am also trying to finish this Amy Lynn lacy headband (free pattern from KnitPicks.com) which I started a while ago. It has become a sort of my in-between WIPs project. The k3tog’s are a killer! I have maybe six more inches to go until it is a decent length. And I haven’t given up on my dream of becoming a sock knitter either! Remember those Shibui Knit socks? I ripped them both. Yes, you read that right. 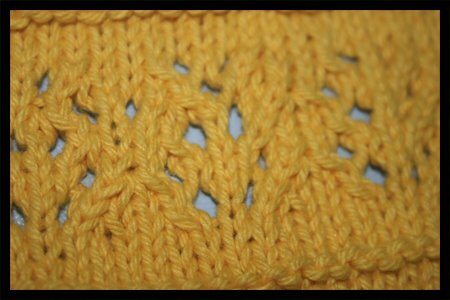 I wasn’t happy with the simple stockinette and know that I made mistakes early on so rather than fool myself into believing that I am knitting socks I thought it best to start over and follow an actual pattern. I might be way in over my head with this but I decided to try Grumperina’s Jaywalker Socks.